After I bought a Canon EF 24-70mm f/2.8L II USM lens for my wife's camera and doing a quick test, I was initially surprised by how terrible autofocus was. Every forum, review, and blog post I've read stated the lens was suppose to be super-sharp. It wasn't the case for me initially. Pictures I took of people were never sharp, especially at 70mm f/2.8. 1. I wasn't use to the extremely shallow depth of field, which means that at 70mm, if I took a picture of a person with the focus centered on the tip of the nose, their nose would be in focus, but their face would end up blurry. I had to shift the focus point to between the eyes. 2. AF Microadjustment -- the results, albeit trivial, do make a difference between parts of the subject having a "soft" focus vs having a super-sharp focus throughout. This made the most difference at 24mm and negligible difference at 70mm. I recommend following the tethered approach described in Ophyrs Photography site. 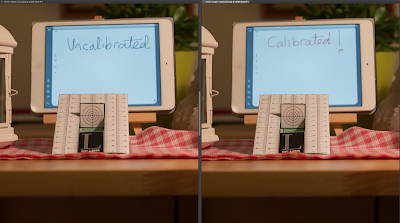 I've tried all of the approaches with the tethered approach giving the most accurate results. 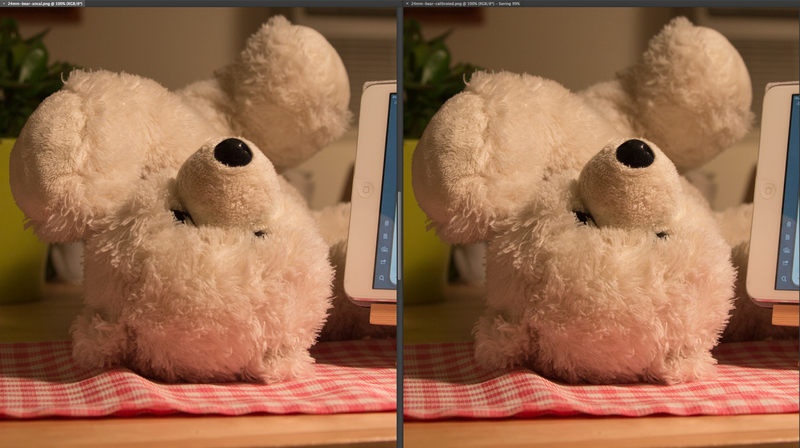 Finally, to highlight the subtle change between before and after AF microadjustment, here are photos taken of the same subject with the focal point on the nose of the bear. The pictures were taken at f/2.8 with a 24mm focal length. Left is before AF microadjustment, right is after. The difference is subtle, but the fur in the lower left below the nose is somewhat sharper in the right image.